Let's just remember what happened a couple weeks ago with the Betty White "dyes" headline. People are careless and don't read the complete article or just take a quick glance and retweet or share. Now we have radio stations across the country like La Raza reporting on something that is not true just like so-called reputable sources. Trust us, if the news was true it would have been picked up steam by the major news outlets and there will be no question about the veracity of the report. Previously Lupillo Rivera was rushed to the hospital at the end of August after he fainted and had trouble breathing. The 42-year-old was taken to urgent care after he had severe respiratory issues due to pneumonia. UPDATE: Lupillo Rivera's Mother: "My Son Is Fine"
Mayeli Rivera, wife of Lupillo, informed fans on her Instagram account. "I never do these things but today it's important that I ask you to help us in asking God for the quick recovery of my husband Lupillo Rivera," she wrote on the photo sharing service attaching of pic of the singer being treated. "Unfortunately today he fell into the hospital due to a severe respiratory problem (I cannot give details) but I know he is going to be fine." According to his publicist, Rivera is hospitalized in Los Angeles due to pneumonia and was checked into the hospital soon after he fainted when he wasn't able to breathe properly. It appears that he had been feeling ill for about a week and he simply thought it was symptoms from the common cold due to the air condition in the radio station where he records his show. 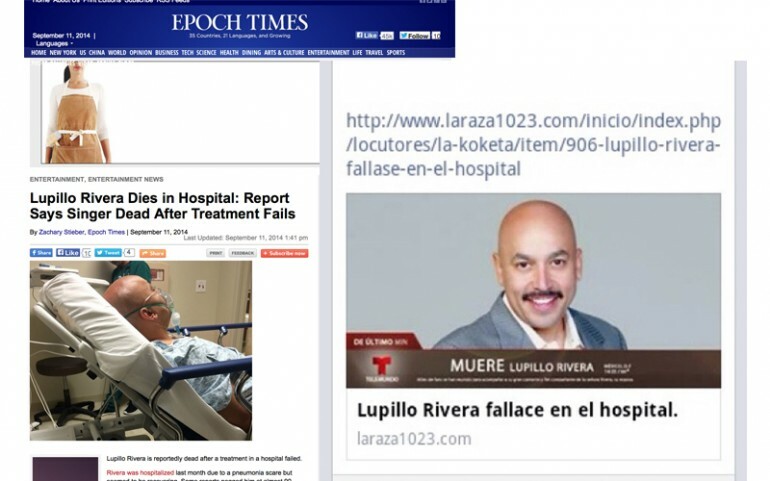 Lupillo Rivera Released From Hospital! Lupillo Rivera Rushed To The Hospital!